Come check Enterprise Health out during exhibition hours on April 29–30 at the American Occupational Health Conference (AOHC) at the Disneyland Hotel in Anaheim, California. We are so excited to learn, collaborate and socialize with you during the conference that we became the official napkin sponsor. Why the napkins? Because we know employees are your bread and butter, and helping organizations like yours better manage employee health and compliance is ours. 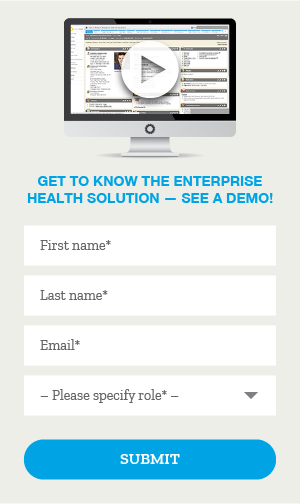 As the only solution to combine occupational health and employee engagement with a certified, clinical EHR, Enterprise Health offers a complete occupational health IT experience on a single, highly-interoperable, cloud-based platform. We equip Enterprise clients with the powerful tools they need to create cultures of health in their organizations. 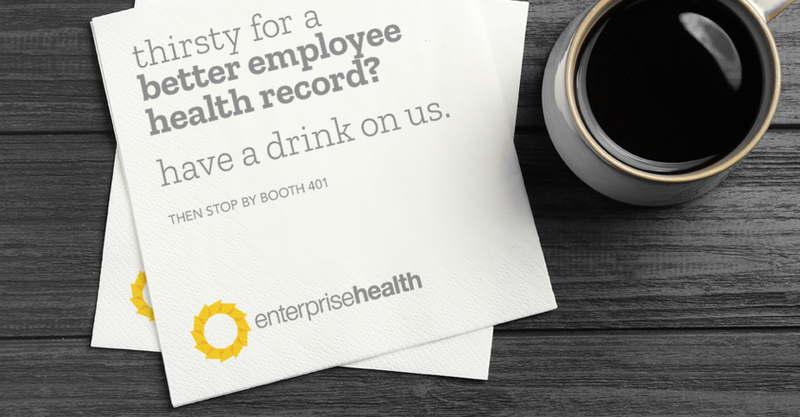 Stop by our booth #401 to talk about how Enterprise Health can maximize the value of employee health services — and your bottom line.